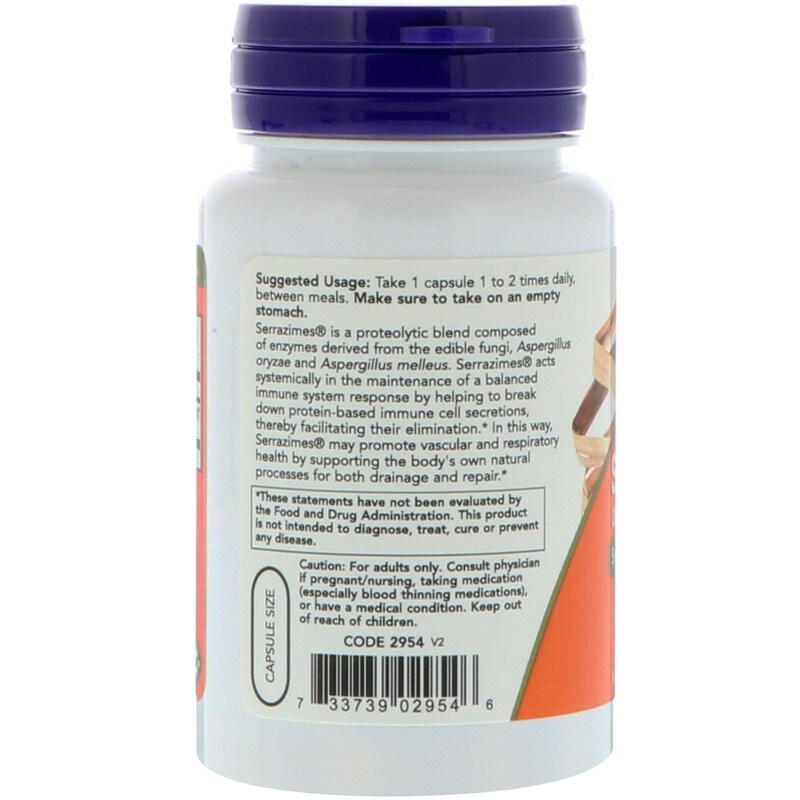 Serrazimes is a proteolytic blend composed of enzymes derived from the edible fungi, Aspergillus oryzae and Aspergillus melleus. 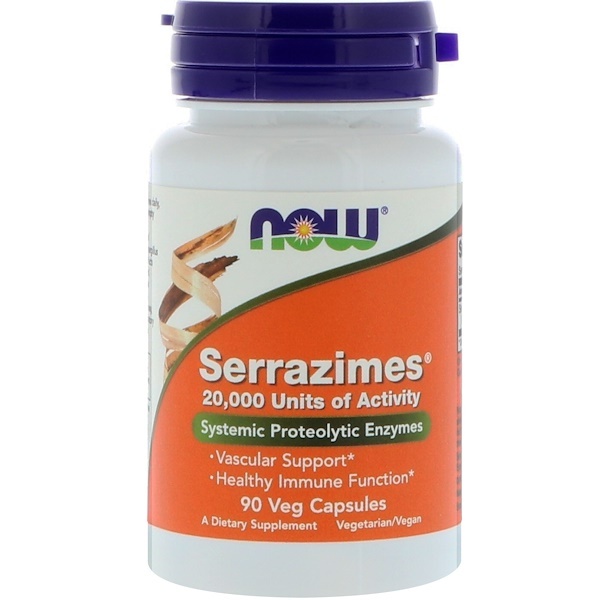 Serrazimes acts systemically in the maintenance of a balanced immune system response by helping to break down protein-based immune cell secretions, thereby facilitatiing their elimination. In this way, Serrazimes may promote vascular and respiratory health by supporting the body's own natural processes for both drainage and repair. 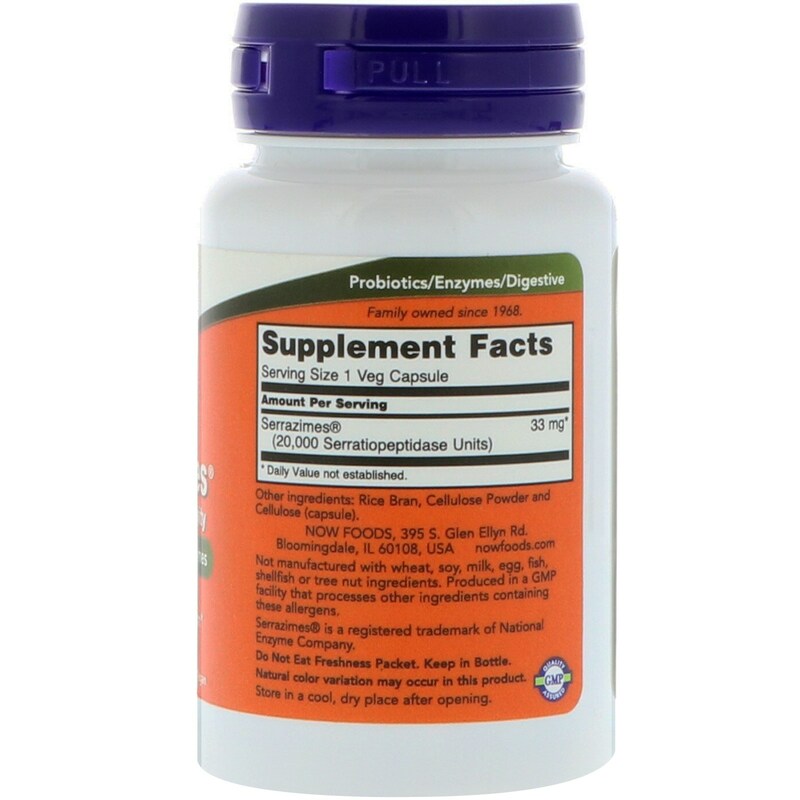 Take 1 capsule 1 to 2 times daily, between meals. Make sure to take on an empty stomach. Rice bran, cellulose powder and cellulose (capsule).